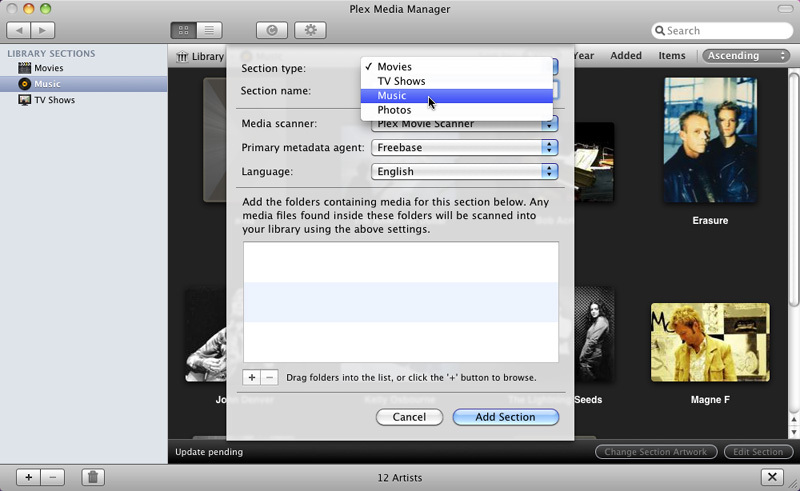 Install Plex Media Server on the computer you wish to host your media server. Setup is relatively simple, but easier on the Mac than Windows – visit the wiki for full instructions (click the 'Laika' link). Your library can be organised according to four types of content: TV shows, movies, pictures and music. Select which folders – network shares as well as folders – to make accessible, and they’ll be made available to your clients, complete with metadata that helps identify the content being played, including artist bios for music and movie descriptions for video. The Mac version is polished, reliable and well worth trying, but the Windows server still suffers from various glitches that make it harder to wholeheartedly recommend. PLEX Server is FREE ? WHY does it want payment after I download the software in order for it to work - hell of a FREE SOFTWARE !!!!!!!!!!!!!!!!! Access the content stored on your Plex media server direct from your iPhone, iPad or Android device. Play back media from your Media Browser server on your Windows 8 device.